Your choice of .177 or .22 caliber. Punch paper with authority! 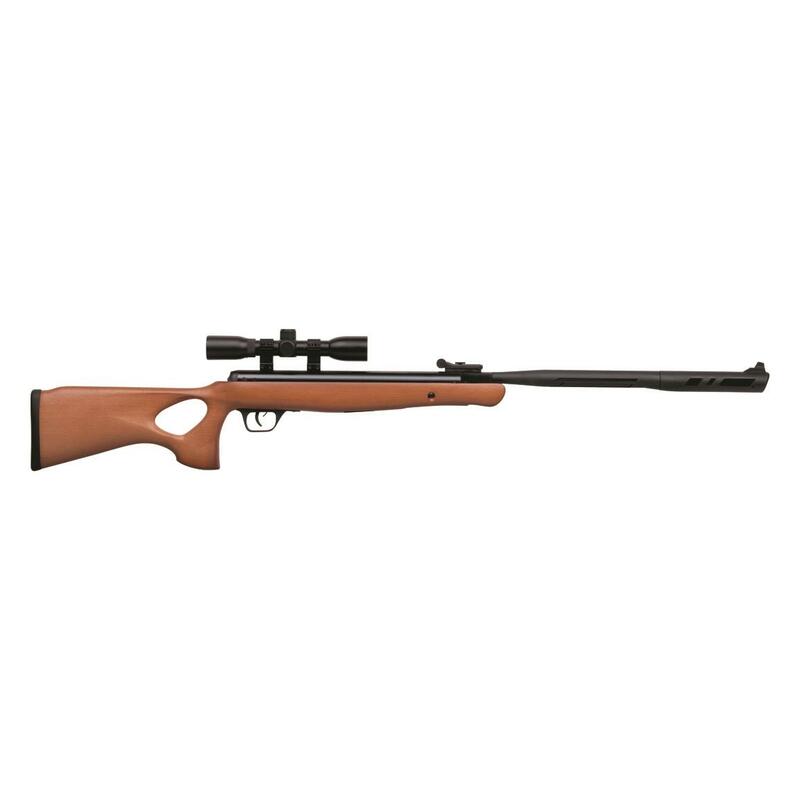 Powered by the new Nitro Piston Elite power plant, the Crosman® Valiant Air Rifle delivers 35% more power, 15% more speed, and twice the accuracy of other gas-piston air rifles. 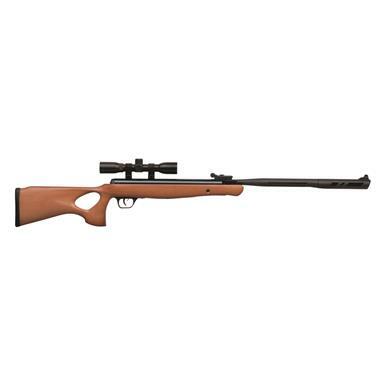 It also comes equipped with Crosman®'s advanced SBD Sound Suppression technology that makes each shot whisper-quiet, and a CenterPoint 4x32mm scope that puts you on the mark with extreme accuracy. Kinetic Energy: 23 ft.-lbs. / 29 ft-lbs.